After reading Avengers Forever, I was struck with how cool Immortus' Anachronauts looked on the page. As a "Keeper of Time", Immortus has created an army of the greatest soldiers and warriors in human history to command. Seeing WWII GIs, Roman Legionaries and Napoleonic Infantry fighting side-by-side was really cool and a great visual contrast to the heroes themselves. I had a vague plan of heading down to Eureka at some stage and asking Nic for a mixed 10 of historical 28s, but then I realised I had a few things kicking around in plastic. Struck with this idea, I wanted to see how far the team could be pushed in Plastics. I scavenged what I could out of my Bits Box[es], then went begging to friends for some loose minis, and this is what I've come up with so far. Fuzzy-Wuzzy, Pirate, War of Spanish Succession and English Civil War. Napoleonic Russian, Dark Ages Archer, Zulu Wars British. At this stage, I still need at least one more miniature, preferably a Legionary or Hoplite, but the great thing about this project is that there's no real limit to how many Anachronauts I can do. I'm hoping to keep them all in plastic, but I'll see how things go. First video game edition of Superhero Media! For the pedants among you, this is the HD Collection for PS3 version of the original Ratchet & Clank game. Ratchet & Clank is the first game in the series, but was actually the second I played, this resulted in me initially finding it a bit disappointing because the controls weren't as refined and many of the options in the game were limited. That said, Ratchet & Clank is a hell of a lot of fun and it's easy to see how they keep getting sequels. The opening adventure sees the creation of Clank, a robot designed to kill, but thinks better of it, his discovery of the villain's master plan and his flight to Ratchet. So the great team-up begins! The opening "cinematic" is all of five minutes long, so the mythos building happens mostly throughout the game and into the next two. The first half of the game focuses on the titular heroes trying to find Captain Quark, the galaxy's greatest superhero and inform him of the evil Supreme Executive Chairman Drek's plan to destroy several planets. 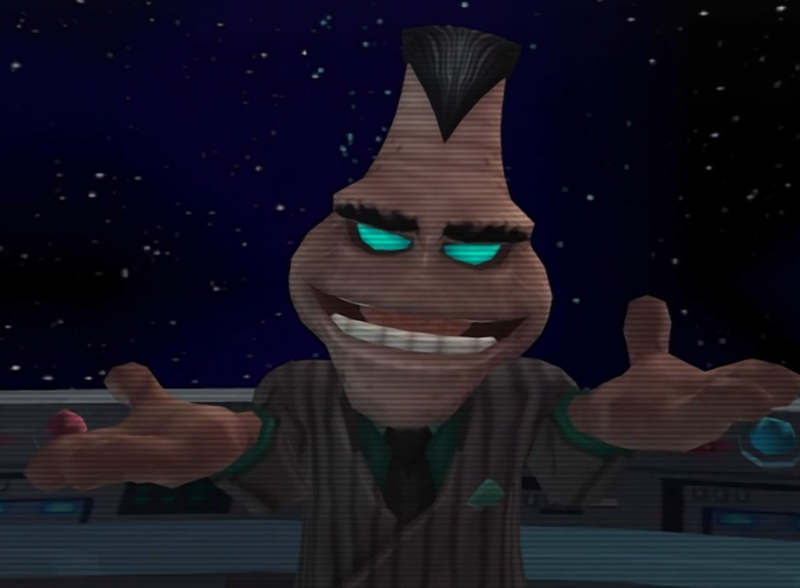 Once Quark's complicity in Drek's plan is uncovered, Ratchet wants revenge and Clank tricks him into continuing to try and save the galaxy. The entire point of Quark is that he's old and fat and sold out, which may have worked well for a character in a single game, but the big green turd is in every damn game. Quark gets "redeemed" every now and then in the series, but why do they keep him around when he betrays them semi-regularly? Perhaps not entirely relevant, but I'm just somewhat sick of Quark and the role he plays in the series. This is an origin story, with Ratchet and Clank changing from mechanic and renegade killbot (respectively) into a dynamic superhero duo. 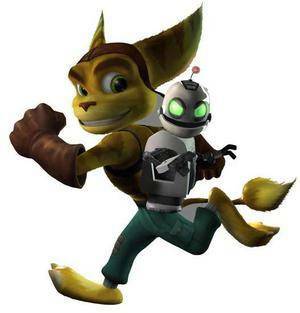 Over the coming games, Ratchet will refine his equipment and Clank will upgrade, their origins and destinies will be explored and we'll even return to some of the places we've already been. The original Ratchet & Clank trilogy is a rewarding series of games with surprising depth, great humour and moments of genuine character. The first game doesn't quite live up to the others in retrospect, but is well worth the effort to see where it all began. Been a surprisingly productive week. Who knew holidays were good for getting stuff done? Heroes; Blue Beetle (Ted Kord), The Creeper, Black Cat (both touch-up jobs for damaged minis) and Huntress. Villains; Super Skrull (Kl'rt), Jason Voorhees and Ra's Al Ghul. How does a Hulu original programme spoofing superheroes do a better job of telling a story than some bigger budget production television and film? I'm going to say less editorial oversight, but maybe that's the writer in me talking. 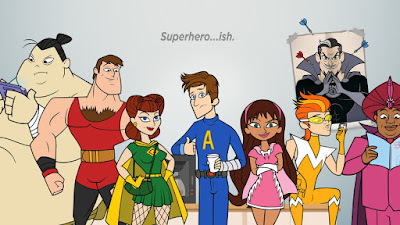 The Awesomes are the greatest superhero team on the planet, until Mister Awesome, a kind of Superman, decides to retire to space to do some reading. Without his leadership, the team disbands except for his son, Proc (He's a Professor and a Doctor) and Muscleman. They go about recruiting new teammates from formerly rejected applicants and hilarity ensues. Where The Awesomes shines is in its pastiche of Superhero tropes and minute analysis of what it must be like to live in a world where aliens invade and Supervillains run amok. The heroes have toy lines and stringent government oversight, seemingly average people are former assassins or retired villains. What happens where there have been heroes since the 1940s and some of them are still around and just a little racist? Watchmen hints at fetishism and sexual dysfunction as the norm for costumed heroes, but The Awesomes delves into the realms of new perversions that only become avialable to those with super powers, and gets some good laughs out of it. Throw in a bit of Jerry Springer and an intergalactic paternity suit and you have a good, but weird, episode. I'm not rushing out, looking for generic supers to turn into a team of Awesomes, however, I'm very happy to see that the programme got a second season. In a world fast filling up with grim and gritty superheroes, there needs to be the silly and funny counterpoint. 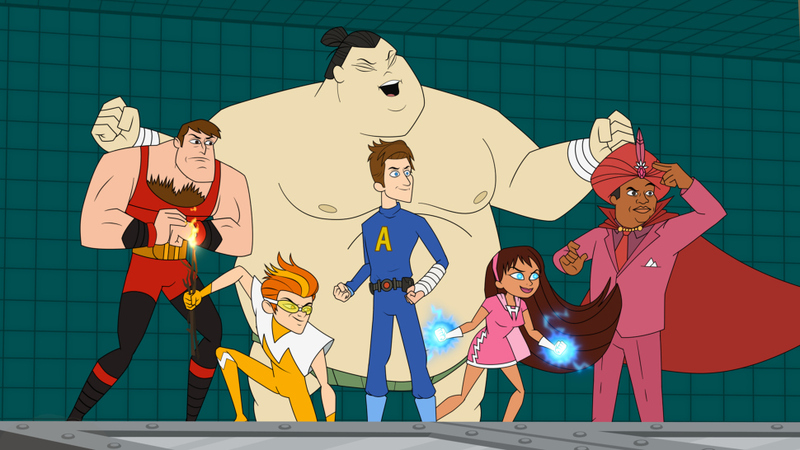 If that counterpoint is as clever and fun as The Awesomes, all the better.